Earpiece with push to talk Mic. 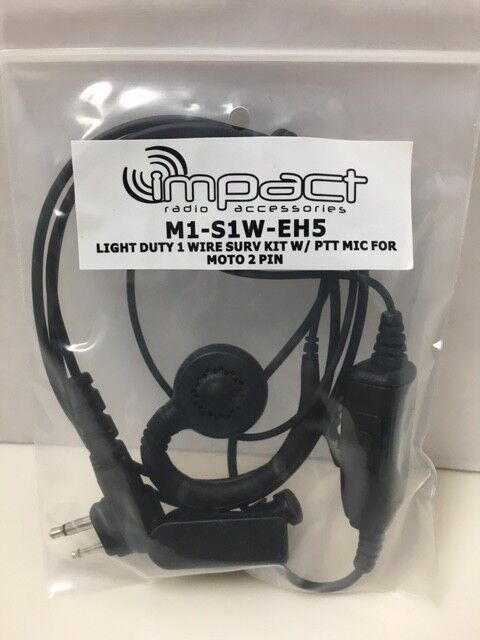 Light duty 1 wire surv kit w/ptt mic for moto 2 pin. Impact radio accessories. No international - sorry.